Shifting Gears has shared an interesting video, detailing five reasons as to why Jawa is a better bet, as compared to Royal Enfield Classic 350. Royal Enfield motorcycles have enjoyed cult following for decades and for fans, it’s no less than their religion. 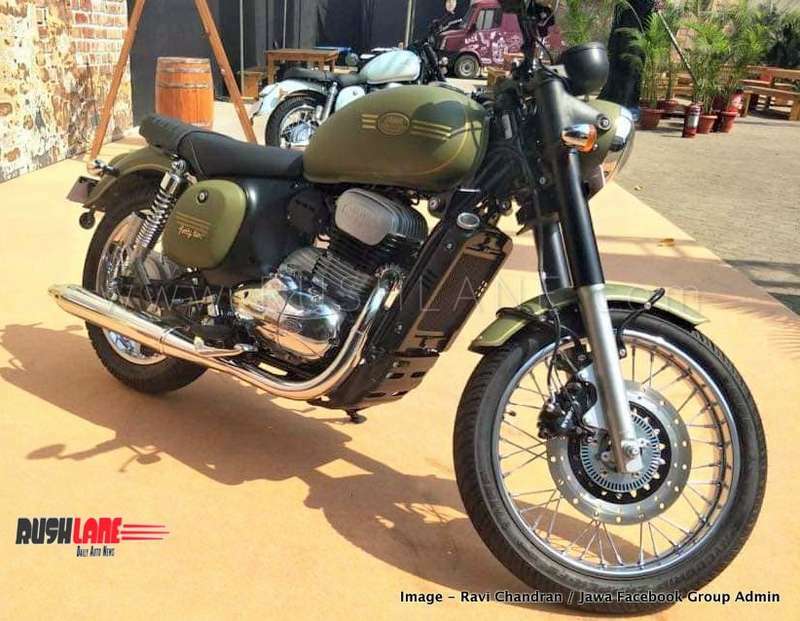 However, Royal Enfield’s dominance in the retro cruiser segment may be threatened in the coming days, as a formidable rival has emerged with the launch of Jawa motorcycles. Jawa twins, Jawa and Jawa forty two, will compete with Royal Enfield Classic 350. Going by the specs, there are quite a few good reasons why Jawa twins come across as a better choice than RE Classic 350. Here are some interesting findings based on specs comparison between Jawa and Royal Enfield Classic 350. Liquid-cooled engine: Royal Enfield Classic 350 has the standard air-cooled engine whereas Jawa twins have liquid-cooled engine. This may not make any real difference over short distances, but for longer rides, the liquid-cooled engine will provide more efficient cooling. This will ensure better engine performance all throughout your long distance touring. More power: Royal Enfield Classic 350 has a 346 cc engine that delivers max power of 19.8 bhp and max torque of 28 Nm. Jawa twins have a lower capacity 293 cc engine, but their power output is more at 27 bhp. With more power, Jawa will offer better acceleration and be more agile and responsive on the roads. Jawa’s torque output is the same as Classic 350. Optimal kerb weight: Royal Enfield classic 350 has a kerb weight of 192 kg whereas Jawa’s kerb weight is 170 kg. Reduced kerb weight, coupled with more power output, will definitely make Jawa’s performance better in comparison to Classic 350. Advanced fuel delivery system: Royal Enfield Classic 350 utilizes the standard carburettor based fuel delivery system. In comparison, Jawa has advanced fuel-injection system, which translates into improved engine performance, throttle response and acceleration. 6-speed gearbox: Royal Enfield Classic 350 has a 5-speed gearbox whereas Jawa has 6-speed gearbox. The additional sixth gear makes rides effortless on long distance journeys. With 5-speed gearbox, RE Classic 350 can run smoothly only in the range of 80-90 kmph. In comparison, Jawa’s sixth-gear, coupled with its advanced engine, allows smooth rides even beyond 100 kmph. Sixth gear also reduces stress on engine at higher speeds. Braking: Braking is better on the Royal Enfield; as it has dual-channel ABS. The Jawa only has a single-channel ABS on the front wheel. However, the Jawa has lesser weight to bring to a halt with the low kerb weight. Jawa Perak has dual channel ABS. The video adds, diehard Royal Enfield fans are unlikely to make a switch, but if you are in the market to buy a retro classic, you can certainly try Jawa motorcycles. Jawa not only gives you the retro experience, but also has a modern engine for smooth riding and superior performance. It’s like the best of both worlds.